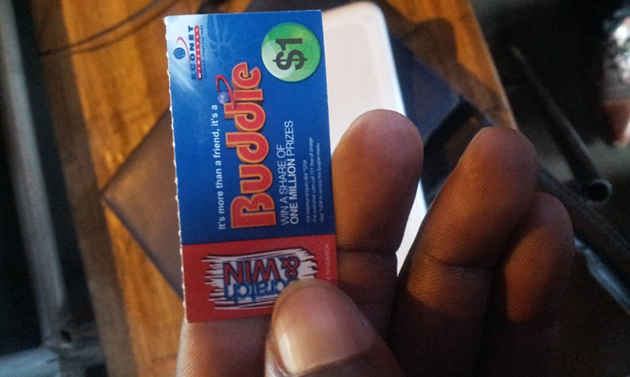 Government has given mobile phone companies six months to phase out recharge scratch cards and told food shops that kaylite packaging for food will be banned at the same time.Mobile phone companies should promote technologies that can be used instead of recharge cards, while food outlets were ordered to use biodegradable materials that were environment friendly. Litter was the biggest problem. The Government also wants a deposit on all beverage containers to give people an incentive to hand them back in instead of dumping them. Manufacturers, importers, distributors and retailers of disposal diapers have to submit an “environmental friendly action plan” within six months to deal with the challenge of wast. Fines for littering of up to level 3 ($20) and level 14 ($5 000) for illegal dumping would be imposed, while Government was also working on ways to introduce mandatory community service for everyone caught on the wrong side. However, hundreds of thousands of youths who had found employment in airtime recharge cards selling business, many firms that had invested heavily in technology to manufacture diapers, kaylite and other fragile commodities wrapping products are likely to suffer. Environment, Water and Climate Minister Cde Oppah Muchinguri-Kashiri last Friday met with environmental stakeholders and proposed the use of biodegradable nappies, reusable cloth nappies and hybrid nappies as a way of doing away with diapers. Minister Muchinguri-Kashiri urged mobile telecommunication companies to adopt electronic recharging systems. “My ministry has noted with concern that mobile companies have ignored the extended producer responsibility principle by leaving the responsibility of cleaning scratched juice cards littered in streets and pavements to local authorities,” she said. She said manufacturers, importers, distributors and retailers of disposal diapers should submit an “environmental friendly action plan” within six months to deal with the challenge. Failure to do so, she said, would see a levy being introduced on all disposable diapers that have seen users dumping them everywhere. “My ministry is giving you a six- month phase-out period up to June 2016 to look for alternatives such as paper wrappers, khaki wrappers, cardboard box and fibre containers after which Statutory Instrument 84 of 2012, which bans kaylite, shall be enforced,” she told the stakeholders. Minister Muchinguri-Kashiri said consultative meetings held in 2012 and 2013 with kaylite stakeholders had yielded nothing hence the decision to ban them. She said an obligatory deposit shall be charged on all beverage containers. “As a public incentive for PET, glass and can returns, my ministry is proposing the introduction of a mandatory deposit to be charged on all types of beverage containers, cans attitudes and imported bottles, which will be refundable on return of the container,” said Minister Muchinguri-Kashiri. “All manufacturers, importers, distributors, users and retailers should submit a waste management plan within one month, detailing how they are going to reduce the amount of PET, cans and bottles in the environment and at dumpsites.” The minister said it was crucial for manufacturers and importers of thin plastic bags to adhere to the new regulations against land and water pollution. Minister Muchinguri-Kashiri said city council authorities would continue to be fined for failure to collect refuse on time. She said Government would this week launch a cleaning programme and all companies and stakeholders should take part.